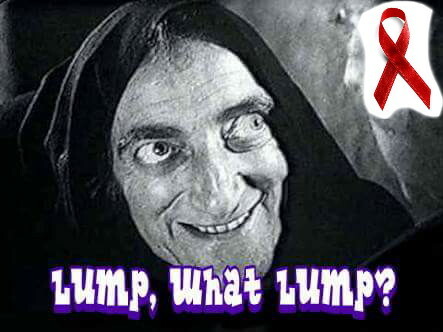 And so it begins ….. | Lump, what lump? And so it begins ….. Saw the Oncologist briefly before my treatment started. Not much to say really. Think I’ve satisfied all my questions thanks to Google. 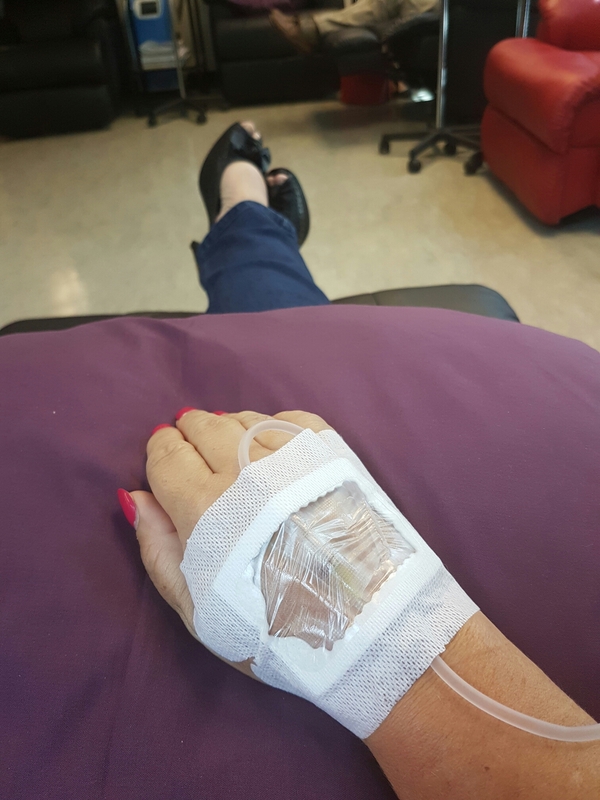 Now sitting it a very comfy recliner with a drip in my hand. Bored to death. My boyfriend sitting besides me but not quite the place you can have a conversation in. Wondered why I can’t have my nails done while sitting here. Seems like a waste of my time just sitting here. 3-4 hours they say. Have been warned about nausea and tiredness after. 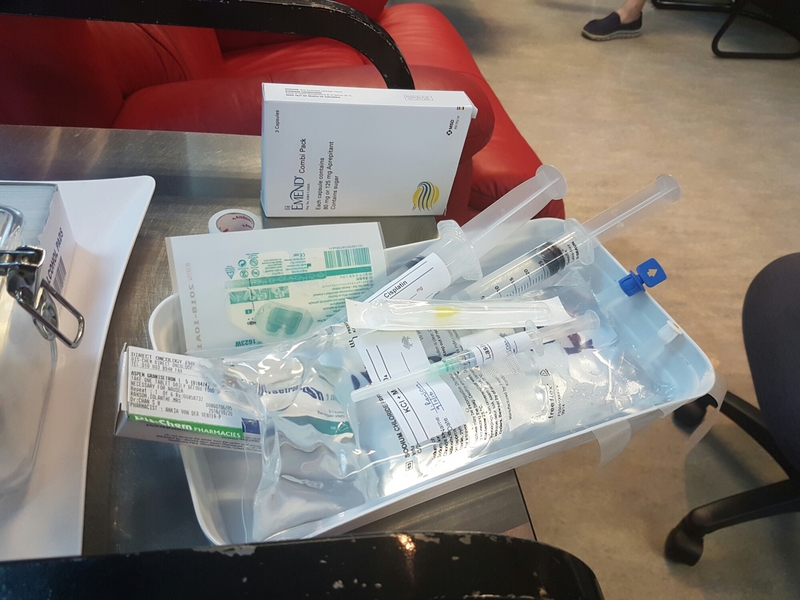 Have a cocktail of bags in the tray next to me to be fed into my veins. Not quite the cocktail I had in mind. Bright side is I only have 6 of these treatments left. Haveng my first radiation treatment after this. Sigh! The things I could be doing …..
Nice to see you have support, it’ll be over before you know it.